Q: What does the “M” stand for? Methos. A nickname I acquired in college. It refers to a character from the television series Highlander. I’m not entirely sure how I became christened with the name, but the quote, “Now we have Methos, and now we’ll have a plan” had something to do with it, I think. Methos is the oldest Immortal, if not the wisest, but I’m not the oldest of my friends, so . . . Has more to do with his/my cunning as I understand it. Morningstar. As in “Lucifer Morningstar,” which I think was taken from Neil Gaiman’s Sandman comics? (At least as it applies to me.) Basically because I’m the one who gets called in when everything’s gone to hell. As a general rule, you don’t want to ever get to that point, and you don’t want to have to deal with me in Morningstar capacity. Mandy. There are five people in this world who are able to call me this. If you wish to join their ranks, you will have to be a very special person indeed. Otherwise, were you to use this name in addressing me without my having first allowed it, I would probably ignore you. Manda. This is, in fact, my actual name. Q: Do you still do editing? Will you edit my book for me? A: I do still edit from time to time, but I’m pretty selective about my projects because I have so much of my own work to keep me busy. If you want to submit the first few pages (no more than 20) of your manuscript as a sample to see if we’re a good fit, feel free. For prose, I charge a per-word rate of $.017 per word and that covers up to three rounds of edits. For screenplays, I charge $1.00 per page. Q: Will you read/review my [book, script, movie, YouTube video, etc.]? A: Maybe. I get a lot of stuff e-mailed to me, sometimes even sent to my house, and I do try to look through all of it. But I’m also a working writer with projects of my own, so unfortunately if it’s not something that really catches my attention, I can’t possibly spend any time with it. Also, be aware that I will give a very honest review/critique. And if you’re asking for notes/feedback on a script, understand that I can only give very general notes. For detailed feedback, I suggest submitting to contests or coverage services (so long as either is reputable). Or if you want to pay me for detailed notes, sure. Q: Are you on IMDb? Q: Where can I find Letters to Rob? A: The website is gone, but you can read the original 365 letters to Rob Thomas and his matchbox twenty bandmates here. (PDF) The follow-up letters are not currently available. Q: Which Scottish clan are you from? Q: How can you be French Creole and have a Scottish clan? Q: What do you mean by “French Creole”? A: I mean that in the mid 1700s my father’s family left France for Louisiana. We’re not Acadian (“Cajun”); we didn’t go to Nova Scotia only to be relocated later. We went directly to New Orleans. A minor distinction. Q: What is your signature scent? A: I wear Body by Burberry and sometimes Play by Givenchy. Q: What’s your favorite flower? A: I like a lot of flowers, but I’m especially fond of blue hydrangeas, daffodils, pink and yellow roses, gardenias, and violets. Q: What’s your favorite flavor of jelly bean? A: I’m a bit of a jelly bean snob and really only like Jelly Belly beans, mostly because they produce my favorite flavors. Whenever I go to a store that allows me to choose, I make this patented “M” mix: bubble gum + watermelon + Dr Pepper + just a splash of buttered popcorn. Q: What astrological sign are you? A: Really? Do people still ask this? I’m a Sagittarius, and my rising sign is on the Capricorn-Aquarius cusp. Lunar Gemini, Venus in Scorpio . . . A lot of other stuff I can’t remember . . .
Have a question that wasn’t covered here? Send it to me. Hi M. Pepper, this is Cristina Deptula, and we talked last weekend at the Book Festival. Great to meet you, I enjoyed hearing about The Rise and Fall of Peter Stoller – and yes, glad to see a book with a LGBT character where that isn’t the main focus and he’s just one of the guys. 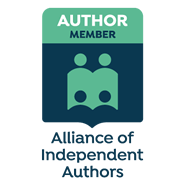 I’m a literary publicist with Authors, Large and Small and we would be glad to help you find reviews, signings, speaking opportunities and media interviews. Good to see you’re getting interviewed in other writers’ blogs – we’ll help you find more connections of that sort and also pitch you to the blogosphere and the podcast and radio circuit. We’ve just done a lot of research on current venues for suspense novels. Please feel welcome to visit our website at authorslargeandsmall.com – and in any case, your book looks interesting and I’m glad to have met a fellow creative writer!